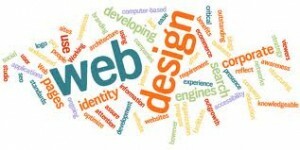 Home Website Design Can you ignore the importance of websites to your business? Can you ignore the importance of websites to your business? What does a successful business need? More customers, bigger market share, staying ahead of the competition, effective marketing, low running cost and of course, more profit. Surely these sum up your business needs too. With your business success path is revolutionised by the “Net” and the number of people using internet for business purpose is growing exponentially, how many times do you think a potential customer has tried to find your business on the Internet but were unable to locate your business? Website is a basic infrastructure of any business. So much so most business is named after their website. So, whether you like it or not, or you are having a big business or a small one, website is a basic requirement. Take a look at some of the benefits a website can give your business. Millions of internet users are searching for products or services, comparing and deciding, every minute. Don’t you think you ought to be there? A professional business website would increase the chances of your business being found and give you an edge over your competition. With a website you are never closed. Be it day or night your business is accessible anytime; anywhere. 24/7 accessibility means more customers and more business. Nobody can be persuaded to buy. Least of all, your customers. Customers like to decide for themselves. A website is a platform to provide information, information and more information. These showcase your knowledge and influence your customer’s buying decision. Any customers would prefer doing business with companies with relevant knowledge and expertise. How much would you spend on designing a website? Compare this with the cost of a newspaper advertisement or a radio spot. Compare the reach. A website is very cost efficient when compared to other forms of marketing and advertising. A website is never constrained by size or demographics. You can keep on adding information and anybody, anywhere in the world can be able to view it. Users of Internet would generally prefer to get as much information through a website. They can be directed to give information and get answers using your website, thereby cutting on the number of phone calls and onsite visits. Even payments can be collected online directly to your bank account. Your competitors are already on the Internet. So, whether you like it or not, you cannot afford to give your competition the edge. The idea of a website is not to stop competition but to make your presence felt to your potential customers so that you can you get a chance to be compared before a buying decision. And as websites are not restricted to the local market you would get even some global clients to do business with. Do you want to be a part of this phenomenon and increase your business success? For those of you that have not created a website now is the time to start. And for those who have a website, maintain it so that it retains its competitive edge. Content Marketing with the Gods! Website Redesign vs Website Re-align! What does this mean to you? How much would website maintenance cost? Email Marketing – Path to increased website traffic, improved business & better customer relations. Do you nurture your website to better results?